The Whaka 100 had been on my wish list for years. The Redwoods, on the outskirts of Rotorua have the world's best single track. I have only ridden parts of the forest. I thought the best way to see everything is to ride everything and that's what Nduro Events set out to achieve through the design of the Whaka100. The other objective was to make this one of the hardest marathon events. I think they achieved both objectives. It's not often it takes me more than 5hr 30m for a marathon! My adventure started on Friday afternoon after school. I arrived into Auckland International Airport at 11:30pm, picked up a hire car around 12:15am and arrived at the Holiday Inn Rotorua around 3am. After a few hours of sleep, food shopping and bike building it was time to hit the trails. I managed to miss the 'seeding' as I arrived half way through the scheduled time. I should have registered at 2pm rather than turning up at 3:30pm thinking that seeding would run the whole time until 5pm. I managed to sneak in a loop of the last 10km before briefing where riders were allocated a start position based on their performance in this sprint event. After the seeded riders were called up I managed to secure a place on the 3rd or 4th row. This wouldn't normally be a problem in a marathon in Australia as there is normally fireroad for the first few kms for people to sort positions. To justify having seeding there was very limited overtaking for the first 6-7km. Next year I wont be skipping the seeding! The first 6-7km of single track seemed very familiar as lots was used in the 24 Hour World Champs earlier it the year. I had to be patient riding behind a train of riders as I considered how much time the leaders would have been putting into me. Once the first firetrail appeared I put on the pace. I knew I was probably riding too hard at this stage however I managed to bridge across to the top group of 5-6 riders. I couldn't believe I had caught back up. Heading up the first good climb the group dropped back to 5 of us. I still felt ok but the top couple of riders were starting to push harder. Once we hit familiar single track that I had ridden multiple times during my last race here, I felt I was struggling to ride well. I just didn't feel confident cornering but despite this I was not losing too much time to the riders with me. It wasn't until a guy on a hardtail caught me on a downhill section of single track that I really felt like I was struggling! After the first KOM I was a few minutes down on the top 3 and a had a little gap on the riders behind. I kept the pace on and I was feeling pretty good. My hydration strategy involved taking a 1.5L camelbak and a drink bottle to fill up at the half way point. Normally over 2L would have been fine racing a marathon. It was around the 65km mark that I started to feel really confident on the trails. This was possibly because I backed off the pace a little as I aimed to conserve fluid but I started really leaning the bike right over. I started having heaps of fun hitting burms as hard as I could while trying to make little tabletops and doubles. I was really having a great time! Positions didn't seem important as I focused more on pushing my limits on the single track. That is until I rode into 3rd place at the start of the 2nd and final KOM around the 60km mark. By 70km I had completely run out of fluid but just pushed through to the 75km mark fighting off cramps and backing off the pace as I anticipated there would be a drink refill at this 'tech zone'. I managed to get a refill and could see the leaders were only 3 minutes up the road at this point. One drink bottle wasn't enough at this point of the race, playing catchup on hydration is never good. By 85km I had drunk this replacement bottle as I rode up the last significant climb of the race. As I bombed down 'X Buns' onto 'Be Rude Not 2' I was sure I was following the orange 100km course marking. That is until part way down this section I could see the 50km and 10km marking but no 100km markings. Each intersection thereafter had only the 50km and 10km markings, so I looked for an exit and rode back up to the top of 'Be Rude Not 2'. While I knew I could follow the 50km course and get home, I wanted to make sure I rode the entire 100km course. The marshals at this point convinced me I was on track, so I filled my bottle again and got to ride 'Be Rude Not 2' twice! I wasn't stressed at all, this section of course is awesome! Once I hit the last 10km of course I had a permanent smile implanted. The bike felt like it would handle any speed I sent it around the flowy corners. It was great to ride this last section of track the day before and see how much better I was riding it a second time after 90km of cornering practice! Coming across the line I was surprised to have still held onto 3rd place. I have already started working on plans for coming back next year. Ideally travelling with a group to make it as easy as possible for international riders to attend this event. Hopefully there will be enough riders keen to share a minibus. 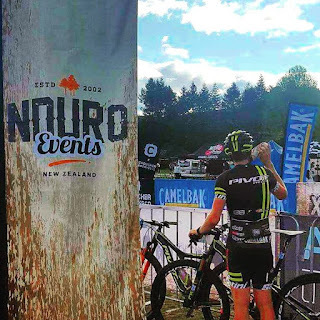 Highlights - Getting to ride the world's best single track, getting to learn how to ride single track, being able to maintain I high heart rate and having Tim, the event organisor pass me a bottle and clean my glasses and the half way feed! What I would do different - Drop another Camelbak at the bag drop / 50km section, make sure I make the seeding, allow more time to get to the airport and spend some more time riding the Redwoods! Thanks to Nduro for the invite over, I'm so glad I made the trip. Thanks Dan for providing the company on the way over. It was great to have the Pivot Mach429SL for this course. While a hardtail may have been faster on the climbs, I was having far more fun on the downhills! Giaonhan247 chuyên dịch vụ vận chuyển hàng đi Mỹ, dịch vụ gửi hàng đi úc, vận chuyển gửi hàng đi canada và dịch vụ gửi hàng đi đức uy tín, giá rẻ.